“Marine marvels at the 1st Philippine Dive Seafari” article spread all over the internet last month and got all of us mad divers excited and curious. And I’m so ecstatic to be part of this grand underwater extravaganza. There are exactly 3 things that I’m passionate about: traveling, photography, and scuba diving. So when avid diver, environmentalist, philanthropist Mr. Joel Uichico asked if I would be interested to blog for Dive Seafari, faster than you can say “clear”, I mentally pushed back all that I may have in my schedule and committed myself. What is Philippine Dive Seafari? The Philippine sits on top of the Coral Triangle, the global epicenter of marine biodiversity and a global priority for conservation. The waters of the Coral Triangle, comprising 6 countries, hold the highest diversity of iridescent corals, fish, crustaceans, mollusks and marine plant species in the world. The Department of Tourism (DOT) recognizing scuba diving as a potential tourist magnet, puts our marine marvels on exhibit as it hosts the first Philippine Dive Seafari from April 25 to May 4, 2011. The Dive Seafari is basically an underwater familiarization tours of our top dive destinations. We have so many, but initially we’re going to showcase 4: Anilao, Bohol, Coron, and Davao. 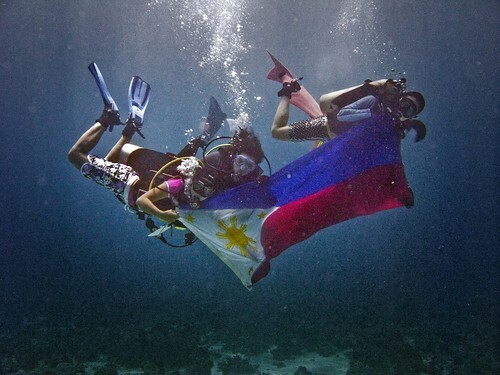 DOT have invited international celebrity underwater photographers to dive and document their stay in the Philippines. Aside from scuba diving, they will also be treated to other tourism highlights of the region they’re assigned to. There will also be other international guests who are travel writers, tour operators, videographers, and photographers. These VIPs will be hosted and accompanied by our top underwater photographers. Find the matrix of assignment below in case you’re curious or want to catch your hero. When Mr. Joel Uichico said at the end of his talk during the last NUDI night, “that the formation of a photo diving group like NUDI was a dream come true“, I almost had to choke back tears. I was very moved because I feel insignificant and here they are bettering the lives of our dive guides. The small group who instituted MAD about US, comprising of legendary divers and photographers: Marissa Floirendo, Gutsy Tuason, Nonoy Tan, Bunnee and Mike Santos, Tet Lara, Joel and son, Adrien Uichico have been contributing their time, money, and effort to train guides all over the Philippines since 2004. It is their ultimate goal to educate and train them to be world class dive guides. To empower them so they will never again be relegated as just a “baby-sitter”. They are now to be regarded as Philippines’ front liners, ambassadors, and professionals of diving tourism. DOT’s First Philippine Dive Seafari program is a hopeful beginning of the realization of this vision. A special presentation by the celebrity divers (guests and hosts) at the Ayala Museum on May 4, 2011. Photos taken during the Dive Seafari will be showcased including those of the MAD about US winners competing for the National title. This affair will be attended by embassy and consulate representatives, tour operators, tourism officials, and other special invitees. How do Divers take part in this? This is where MAD about US photo competition comes in. The special edition MAD about US is an offshoot of the Dive Seafari so other avid diver-photographers can take part. One winner per category, per region will be awarded. They will then be eligible to compete for the nationals where only one will be chosen during the closing program of the Dive Seafari. Bohol has one of the most prolific coral reef we have in the Philippines. I was traveling with my family when I visited Bohol for the first time in 2009, so was only able to sneaked in a couple of dives with friends. I vowed to go back and dive Bohol properly. But wow, who would have thought that I’ll be doing it in this fashion? Diving with world class photographers and dive guides–fabulous! With this event, we hope not only to establish the Philippines as a world-class marine photography destination, but to build appreciation for the beauty and fragility of marine life as well,” said DOT Secretary Alberto A. Lim. Dot, Seafari and MAD about Us is lucky to have you on board. 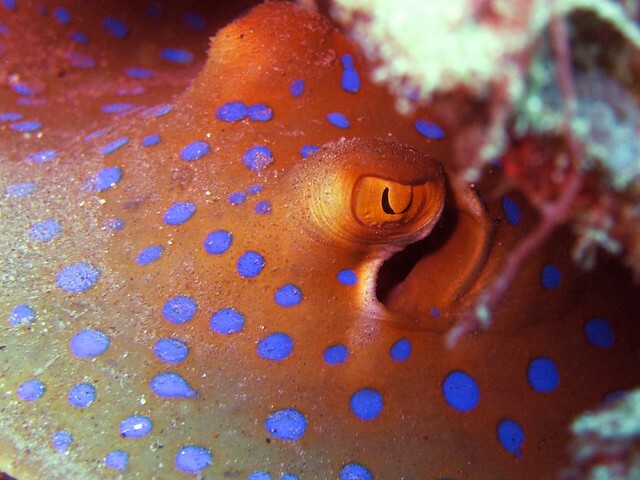 Your presence will benefit Philippine Tourism most specifically underwater Macro photography. I hope you allow me to mention that aside from all this tourism, we would want our dive guides to be the direct beneficiaries of this event. After conducting 8 dive guide training around the Philippines since 2004, 3 with the DOT, I was very fortunate to have been able to be the first to inform them of the 1st International Dive SEAFARI. Guides from Anilao (Mabini), Bohol and Davao as I visited them in a weeks time to discuss final preparations for the event. The expressions on their faces of both apprehension and delight that, as promised by Marissa Floirendo, Gutsy Tuason, Nonoy Tan, Bunnee and Mike Santos, Tet Lara and my son Adrien, the extra time, money and effort spent during the dive guide training will bear fruit some day. They are now part of the team in planning and will never be again relegated as just “baby sitters” and a ton of gratitude is also extended to the DOT, this program has greatly raised their self esteem. They are Philippines front liners, ambassadors, and professionals of diving tourism now. May I also thank all the usual supporters who believe in this project specially Mad about Us and the new supporters like Lilliane. By the way, I heard you are staying at the Peacock Garden Resort in Baclayon (www.thepeacockgarden.com). Lucky you. Maybe I was naturally oblivious but I didn’t know the mission vision behind MAD about US until the NUDI night and was very inspired. I’m always very inspired by movement to better the lives of locals without taking too much from the environment — such as the BIO in Sorsogon, dolphin spotters in Bohol, and coffee pickers for Alamid, and now I learned about this. As an enthusiastic diver and photographer, it’s natural to want to contribute whatever little way I could, to help spread the word in the meantime, but I would definitely want to take a more active part in the future! And to be able to work alongside legendary people such as yourself and the star studded list above, it’s truly an honor beyond words for me. Ohhh Gutsy Tuazon, cool! Is the exhibit only on May 4? haha, ooohhhh indeed. i’m so excited that he’s also assigned in Bohol. ^_^ i’m not sure about the exhibit, maybe it’s more than a day. i’ll confirm.